Hello from A-Pro Home Inspections! It’s no secret that buying a home is one of the most important investments you’ll ever make. As a Long Island home inspector dedicated to helping you make a wise choice, my goal is to perform the most detailed and accurate home inspections possible, providing you with a complete picture of the home’s anatomy – from foundation to rooftop. 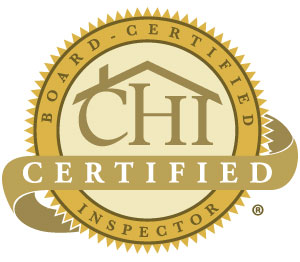 With an A-Pro home inspection in Suffolk County, you also receive peace of mind that you have selected a local Long Island home inspection team with the most advanced certifications (CHI®, PHI®, NACHI®, and ITI®); years of trusted home inspections under our belt; and a hometown commitment to honesty, integrity, respect, and service that exceeds national standards. Bottom line…Your satisfaction is guaranteed. To schedule a Nassau County home inspection, Suffolk County home inspection, or Metro New York City home inspection, call A-Pro at 631-868- 0499 or click the link below. Don’t just hire any home inspector. Hire an A-Pro “Shore to Shore” Long Island home inspector with a proven background in examining homes and commercial properties in Suffolk County in Long Island, New York. 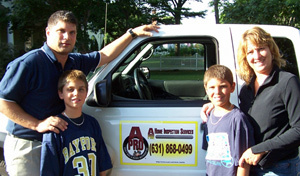 Since 1994, A-Pro has inspected hundreds of thousands of homes nationally and locally. Best of all, you benefit from a home inspector in Long Island who takes the time to clearly explain the home’s positive attributes as well as areas of concern. Whether you’re a seller preparing to place a home on the market or a buyer who wants the full story of the home you’re considering, we’re here to answer all your questions. As a proud homeowner in the Long Island area, I am committed to helping my neighbors in Suffolk County – Long Island from shore to shore – make fully informed home-buying and selling decisions. 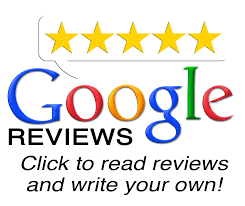 Discover the difference when you contact the A-Pro Long Island home inspection team. Call us at 631-868-0449 or click here. 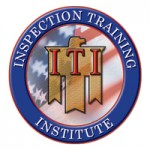 From“Shore to Shore” Long Island Home Inspection Coverage Areas, you won’t find a local home inspector who works harder for you. Nassau County Home Inspections – call 631-868-0499. Western Suffolk County Home Inspections – call 631-868-0499. Amity Harbor, Amityville, Asharoken, Atlantique, Babylon, Bay Shore, Bayport, Bayside Park, Belle Terre, Bellport, Blue Point, Bohemia, Brentwood, Brightwaters, Center Moriches, Centereach, Centerport, Central Islip, Cherry Grove, Cold Spring Harbor, Commack, Copiague, Coram, Coram Hill, Davis Park, Deer Park, Dix Hills, Dunnwood, East Commack, East Farmingdale, East Half Hollow Hills, East Holbrook, East Islip, East Moriches, East Northport, East Patchogue, East Setauket, East Shoreham, Eatons Neck, Edgewood, Elwood, Fair Harbor, Farmingdale, Farmingville, Fire Island, Fire Island Pines, Flowerfield, Fort Salonga, Great River, Great River Station, Greenlawn, Hagerman, Halesite, Half Hollow Hills, Hauppauge, Head of the Harbor, Holbrook, Holtsville, Huntington, Huntington Bay, Huntington Station, Huntington Village, Islandia, Islip, Islip Terrace, Kings Park, Kismet, Lake Grove, Lake Ronkonkoma, Lakeland, Lindenhurst, Lloyd Harbor, Lloyd Neck, Lonelyville, Lower Melville, Manetto Hills, Manorville, Mastic, Mastic Beach, Medford, Melville, Middle Island, Middleville, Miller Place, Moriches, Mount Sinai, Nesconset, Nissequogue, North Amityville, North Babylon, North Bellport, North Centereach, North Great River, North Lindenhurst, North Patchogue, North Selden, North Shore Beach, North Smithtown, Northport, Oak Beach, Oakdale, Ocean Bay Park, Ocean Beach, Old Field, Old Mastic, Old Stony Brook, Patchogue, Pine Aire, Pinelawn, Point O’Woods, Poquott, Port Jefferson, Port Jefferson Station, Ridge, Robins Rest, Rocky Point, Ronkonkoma, Saltaire, San Remo, Sayville, Seaview, Selden, Setauket, Shirley, Shoreham, Smithtown, Sound Beach, South Centereach, South Commack, South Hauppauge, South Haven, South Holbrook, South Huntington, South Manor, South Medford, South Setauket, South Stony Brook, South Yaphank, Saint James, Stony Brook, Terryville, Upton, Vernon Valley, Village of the Branch, Wading River, Water Island, West Bay Shore, West Bellport, West Brentwood, West Hills, West Island, West Islip, West Neck, West Sayville, West Yaphank, Wheatley Heights, Wynadanch, Yaphank. Eastern Suffolk County Home Inspections – call 631-868-0499. Amagansett, Apaquogue, Aquebogue, Baiting Hollow, Barnes Hole, Bayview, Beach Hampton, Bridgehampton, Brookhaven, Calverton, Canoe Place, Captain Kidd Estates, Cedar Beach, Centerville, Cobb, Cutchogue, Deerfield, Dering Harbor, Devon, Ditch Plains, East Cutchogue, East Hampton, East Hampton Beach, East Marion, East Mattituck, East Moriches, East Quogue, Eastport, Fireplace, Flanders, Flying Point, Freetown, Georgica, Gerard Park, Grassy Hollow, Greenport, Hampton Bays, Hardscrabble, Jamesport, Kingstown, Laurel, Maidstone Park, Mattituck, Mecox, Mill Hill Estates, Montauk, Nassau Point, New Suffolk, North Haven, North Sea, Northville, Noyack, Oakville, Oregon, Pantigo, Peconic, Ponquogue, Promised Land, Quiogue, Quogue, Ram Island, Rampasture, Reeves Park, Remsenburg, Riverhead, Roanoke, Rose Grove, Sag Harbor, Sagaponack, Scuttlehole, Shelter Island, Shelter Island Heights, Shinnecock, Shinnecock Hills, South Jamesport, Southampton, Southold, Southport, Speonk, Springs, Springville, Squiretown, Stirling, Three Mile Harbor, Tiana, Tuckahoe, Wading River, Wainscott, Water Mill, West Amagansett, West Tiana, Westhampton, Westhampton Beach, Wickapogue.